Following on from our hugely successful Burghound event “An Unparalleled Passion for Pinot Noir and Chardonnay”, in another coup de mâitre, The Wandering Palate and Hermitage Wine bring together two renown Pinot Noir virtuosos from the most southern reaches of cool-climate wine regions in the world – Sam Neill, acclaimed actor and proprietor of Two Paddocks in Central Otago, New Zealand and Phillip Jones, the ‘Pinot Noir prodigy from down-under’ with his Bass Phillip vineyard in the unique terroir of Leongatha South, Gippslands, Victoria, Australia. Both champions of organic and biodynamic viticulture, they cultivate wines that speak volumes of their ‘sense of place’ – pure expressions of terroir and profound personality – that pinot noir enthusiasts around the world religiously follow each vintage and eagerly take up the miniscule allocations that are offered. And there is a third collaborator in this sybaritic gathering, this Epicureanism and conspiracy to drink fabulous pinot noir – award winning Sommelier and highly revered restaurateur, Ignatius Chan, the culinary eponymous, Iggy’s, our venue for this dinner. Iggy will be drawing on his expertise and endless travels of discovery and his enduring passion for pinot noir to create a special menu for the evening. The Wandering Palate & Friends – Sam Neill & Phil Jones at Iggy’s, Friday 24th June 2011. Incorporating Iggy’s full gastronomic menu and 8 Pinot Noirs – the total price per person is SGD$525 net, which is indeed good value. Putting that in to perspective, will be enjoying some fabulous and rare wines at below cost including Sam Neill’s single vineyard First Paddock Pinot Noir 2007 – with such a tiny production, it was only bottled in magnums and never release commercially. We will also feature the 2003 Bass Phillip Reserve Pinot Noir, just recently winning the most preferred choice in our Burghound event, DRC vs. the World, an international blind tasting including La Tache 2007. 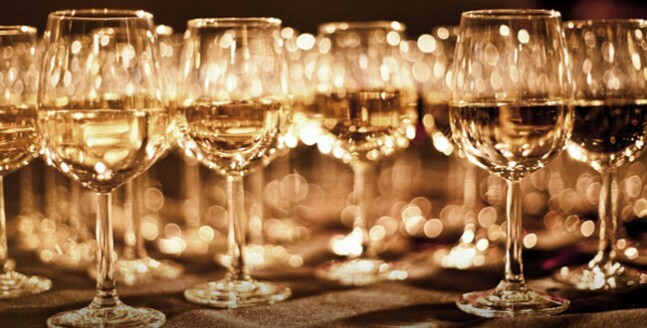 Read more on this Domaine de la Romanee Conti vs the World Blind Tasting Results … and a bottle of the Bass Phillip 03’ Reserve costs more than this dinner alone. Above all, this is a unique – possibly once in a lifetime event – that is, well – priceless. Menu available shortly… check back later. 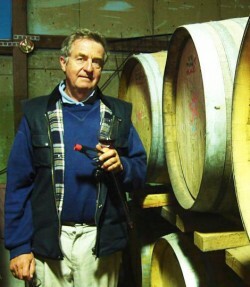 Proprietor and winemaker of Bass Phillip, Phillip Jones is an enigma to some and a genius to others. He knows more about Burgundy than any Burgundian winemaker I know, although refutes any suggestion that his wine might be ‘Burgundian in style’, and yet wine enthusiasts regard his wine with the same reverence as a ‘top Domaine’. The vineyard property is tiny and with un-irrigated vines grown biodynamicaly yields are miniscule – sometimes less than 1 ton to the acre, with the annual production limited to only a few hundred cases. Painstaking attention to detail in part leads to these small quantities with individual bunches hand sorted, graded and discarded if they are not up to the rigorous Bass Phillip standard (up to 30% of fruit is discarded in difficult years). 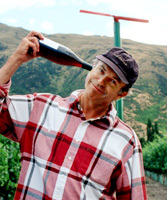 Sam Neill, proprietor of Two Paddocks vineyard, New Zealand. The proprietor of Two Paddocks is New Zealand actor Sam Neill, who began with modest ambitions to satisfy the thirst of family and friends however, by his own admission, has now become “Outrageously ambitious – we want to produce year after year, the world’s best pinot noir”. Initially planting five acres of pinot noir in the sub-region of Gibbston in 1993, colloquially referred to as Original Paddock, this is released as ‘First Paddock’ when bottled as a single vineyard cuvee in appropriate years. A subsequent purchase of 7 acres in the Alexandra sub-district was planted in 1998, named Alex Paddocks and released as ‘Last Chance’ taking its name from an old gold miner’s watercourse that runs through the vineyard, dating from the 1860s. In 2000, Neill purchased a sixty-acre farm called Redbank Station in Alexandria, formerly a government horticulture research station cropping a number of exotic plants, many of which have been retained. About 14 acres have been planted mainly to pinot noir with a little riesling and referred to as ‘Redbank Paddocks’, although there is ever-expanding range of crops, fruits including cherries, nectarines, apricots, cumquats, vegetables, truffles, saffron, walnuts, pistachio nuts, olives, lavender, thyme, bay trees, saffron, ginseng, peppermint, clover, St. John’s wort, marigolds, poppies and more. Throw in a few sheep, pigs and chickens (for eggs only) and you can sense Neill is a indeed an inimitable auteurist agriculturalist.